Sept. 15, 2009, 11:34 a.m.
By Zachary M. Seward @zseward Sept. 15, 2009, 11:34 a.m. The Newspaper Association of America cast a wide net this summer in seeking proposals for generating online revenue. Their request went out to many of the firms we’ve been covering closely but also several tech companies that aren’t exactly in the thick of the news industry, including Google, Microsoft, IBM, and Oracle. The Next-Generation Newspaper is the user’s information hub, aggregating content from different sources and matching it to the user’s profile, preferences, and context (situation). It is accessible from any device, both online and offline, and helps the user to navigate the content universe through search, links, and recommendations. Content and audiences are monetized through pay-for-content and advertising. Whether anyone wants all their information in one application is an open question, though it would be unfair to judge Microsoft’s vision based on a screenshot and some promotional text. Rainer Kellerhals, a spokesman for Microsoft, described their next-generation newspaper as a “concept” but said it “currently exists as a slide deck and a high-level reference architecture, with pilot implementations under way at some pilot customers.” Kirsten Roach, an account manager for Microsoft who produced the company’s response to the NAA, told me that an announcement related to the next-generation newspaper could be made at the end of this month. While these details are emerging from Microsoft’s response to the NAA, it’s hard to see this product doing much for newspapers, next-generation or otherwise. The whole point seems to be drawing content from a broad array of sources and disassociating it from point of origin — the same issues already troubling most newspaper companies. And I found it mildly amusing, though also heartening, that Microsoft’s screenshots include streams from, among other rivals, Google’s YouTube and Yahoo’s Flickr. What’s clear, particularly in the screenshot below (larger version), is that news providers will share just a small slice of the content that people choose to consume. 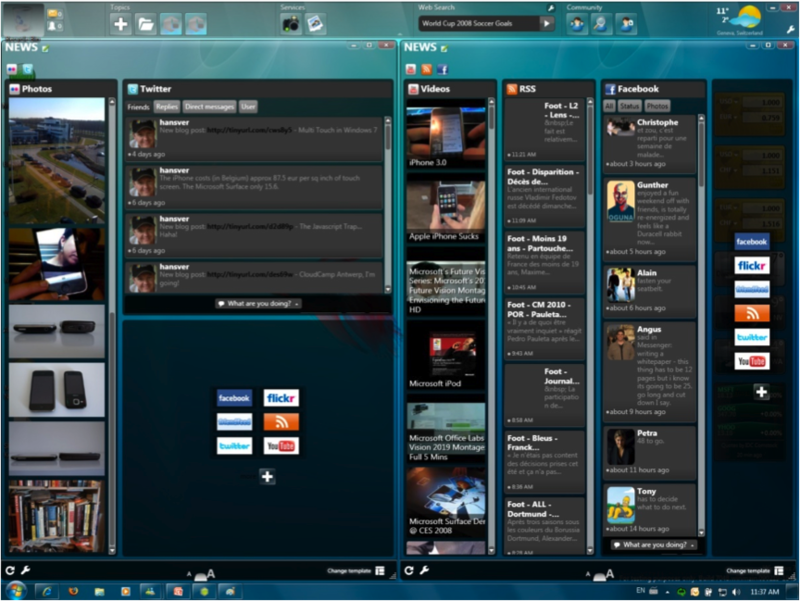 The particulars of Microsoft’s interface aside, that seems like a realistic vision. Making available (and monetizing) individual content elements (articles, images, videos) which today are aggregated into newspapers, giving the customer more choice over what she/he wants to read, and which source he/she prefers. At the same time, many readers will still be interested in getting a “news overview”, i.e. editorially selected, prioritized and organized content. Acknowledging that “editorial” and “social” content will co-exist and may complement each other. In traditional newspapers, the “letters to the editor” can only be published the day after or days after the article they refer to, “disconnecting” them from the original article; in online media, readers’ comments become part of a dialogue on the subject discussed in the article, providing more insight and additional perspectives on the subject. People use computers to quickly find information, but they tend to prefer the print reading experience over the on-screen reading experience. Ideally, future news media will combine the readability and portability of print media with the accessibility of online media. 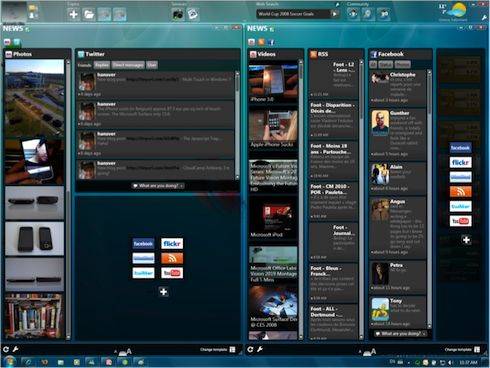 POSTED Sept. 15, 2009, 11:34 a.m.
Seward, Zachary M.. "Microsoft’s vision for a “next-gen newspaper” looks like TweetDeck." Nieman Journalism Lab. Nieman Foundation for Journalism at Harvard, 15 Sep. 2009. Web. 19 Apr. 2019. 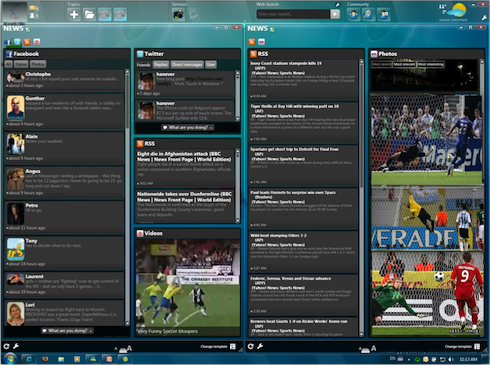 Seward, Zachary M.. "Microsoft’s vision for a “next-gen newspaper” looks like TweetDeck." Nieman Journalism Lab. Last modified September 15, 2009. Accessed April 19, 2019. https://www.niemanlab.org/2009/09/microsofts-vision-for-a-next-gen-newspaper-looks-like-tweetdeck/.